This duet sings in perfect harmony, never missing a flavor-packed note. Don’t make these mouthwateringly delicious cakes stand alone. Select any two Gourmet Classic Cakes to make the perfect pair of luscious Bake Me A Wish cakes. With over 15 cake flavors to choose from, you can create a gift of polar opposites or two of your favorites. It’s up to you! Each cake is adorned with a chocolate occasion plaque (when applicable) and a personalized greeting card to help celebrate whatever the occasion may be. I ordered tow different flavors. But I got two same cake. Why? 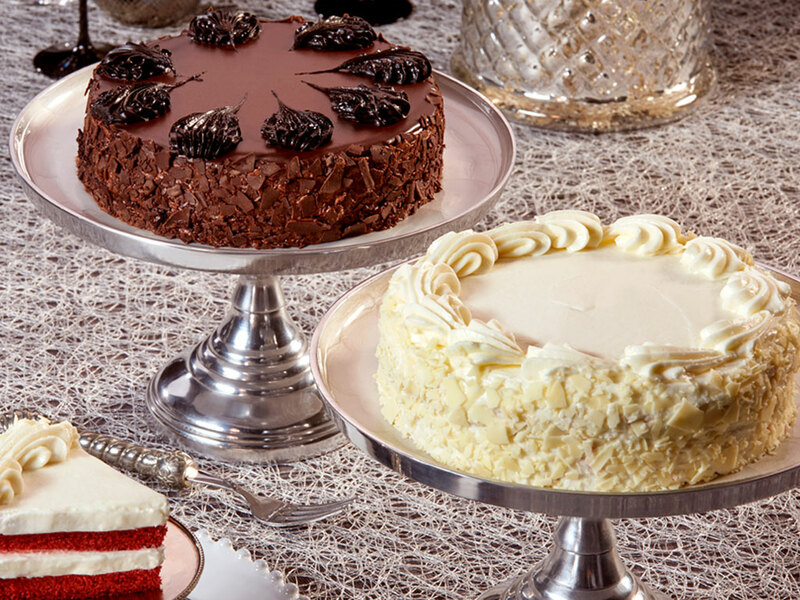 Reply: We see you selected 2 Chocolate Mousse Torte Cakes for your Duet. Please contact our Customer Care Team if you have any further questions...thank you!